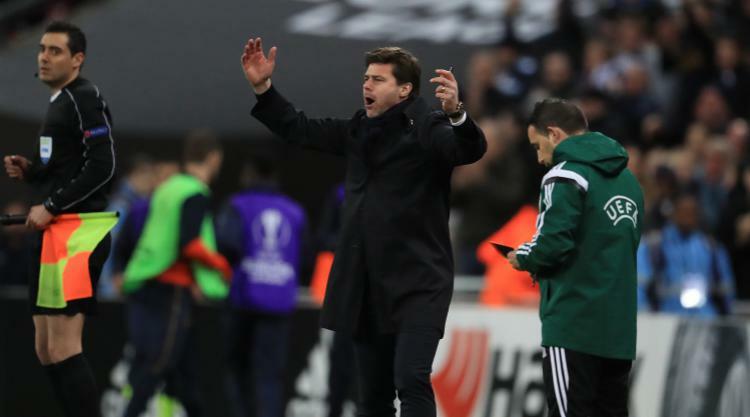 Mauricio Pochettino has told his Tottenham players to match West Ham's fight and desire if they want to overcome their London rivals on Saturday. Spurs' title challenge was all-but ended last term by a 1-0 defeat at the London Stadium and two years ago they lost by the same scoreline as the Hammers dented their hopes of catching Leicester. This season's fixture comes much earlier in the campaign but Tottenham can hardly afford another slip-up given they already trail both Manchester United and Manchester City by five points. The Hammers tend to raise their game against their fiercest rivals and Pochettino has warned his side they must be up for the fight. "For all the excitement and desire they show to beat us, we must show the same. We must show the same desire, excitement and aggressivity," Pochettino said. "It is a derby. When you play a derby they try to give their best and try to win. It is our enemy, I understand very well that. For us we have to follow our way. "We know very well what it means for our fans to play against West Ham. We will try to stay and be ready to compete, fight and be aggressive." Pochettino is likely to recall a number of key players that were rested in the Carabao Cup win against Barnsley on Tuesday night, including Toby Alderweireld, Christian Eriksen and Harry Kane. Kane was the only English player included on Wednesday's 55-man shortlist for the FIFA FIFPro World 11, decided by the votes of 25,000 professional players. The Tottenham striker has scored six goals for club and country already this season, after hitting 29 last term to win the Premier League's Golden Boot award. "One English player, no? Harry is one of the best strikers in the world and that is confirmation," Pochettino said of Kane's inclusion on the list. "That does not surprise me. We have some players who deserved to be included but they are not. Harry is one of the best strikers in the world. "It's good because many people talk about him winning trophies for Harry to stay here with us. It is all very clear with Harry as people recognise his value. "He is still one of the best players. But he loves Tottenham and wants to play here for a long time." Pochettino has no fresh injuries for Saturday's game. Danny Rose and Victor Wanyama are both nursing knee injuries while Erik Lamela is still recovering from a problem with his hips.